While one bedroom for more than one child might not be optimal, sometimes it’s just a case of making the best out of a situation. It can be fun for young kids to grow up sharing a bedroom with their beloved sibling, although it can become more problematic as they age and develop stronger differences in their personalities. It’s not just about putting a bunk bed in a room and leaving them to it – to make the most of their space, minimise conflict, and maximise comfort, there are a few things to bear in mind. When you’ve only got so much space to play with, it’s really important to prioritize items that have to be in the bedroom, and things that can be stored outside in the attic or other rooms. This way, you’ve only got the absolute essentials taking up space in an already crowded room, allowing for a relaxing space that isn’t piled high with belongings. A few savvy storage solutions can really help too, along with a well-organised wardrobe with optimised space. A child’s privacy, especially as they get older, becomes more important to them. Tensions can start to run high when they constantly have to share a space with a sibling, so it’s important to teach them about the importance of respecting each other’s privacy, but also allow them to be able to shut themselves off. A curtain pole down the middle of the room can work to create a personal space, as can a freestanding bookcase or room partition. Giving each child an area of the room that they can decorate or accessorise to their tastes will also help them to feel as though they have their own space. There are so many great bed solutions for multi-child bedrooms, such as these from Cuckooland.com. The available space in the room and the age of your children are the main requirements to bear in mind. For example, slightly older children in a very small room will be able to use bunk beds comfortably. If you have more space, loft beds allow each child to have their own desk and storage space underneath, killing two birds with one stone. Or you may just prefer twin beds, in which case fun and personalised beds are a great way to allow the kids to feel at home in their space. With all those beds, floorspace can become limited. 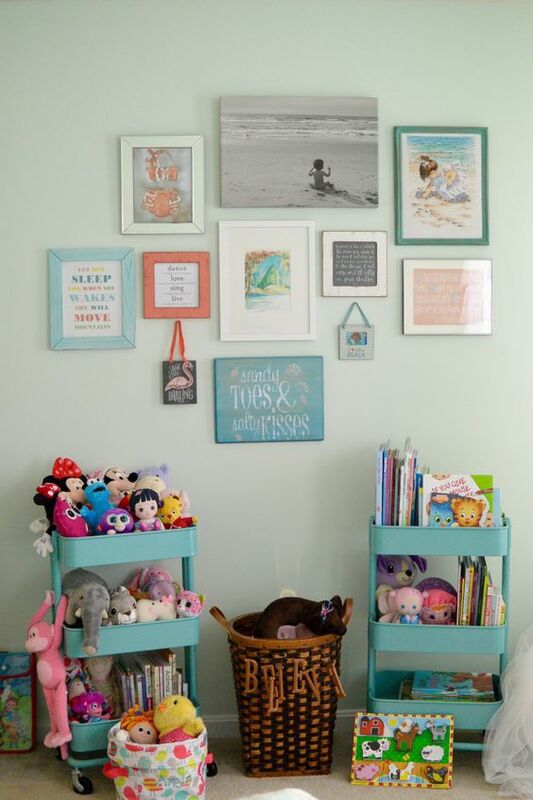 Taking artwork and storage onto the walls allows for a room to be personalised, without clutter. 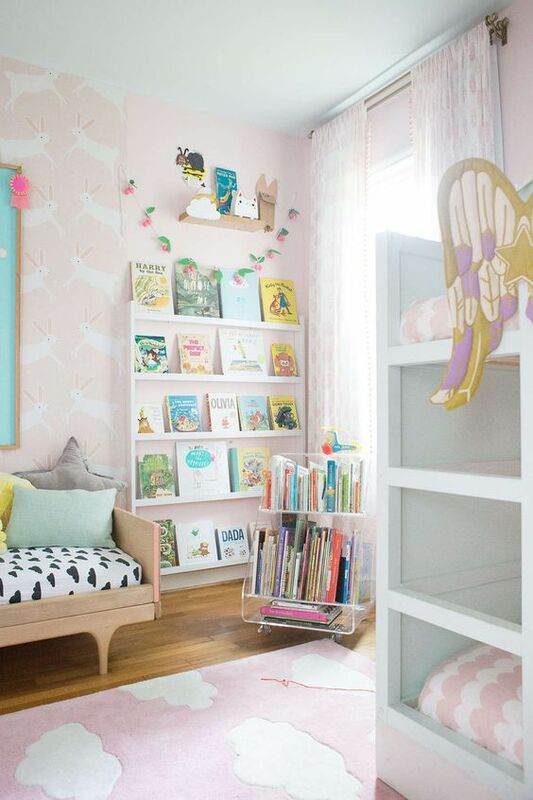 Give each child a few shelves for loved books, photographs, and trinkets, and encourage them to hang artwork that makes each of them happy – this can work particularly well if the room is split down the middle, and can even look quite striking. Creating a shared bedroom is all about allowing them to express themselves as they would if they had their own bedroom, while also learning to compromise with their sibling – a good lesson for later in life! Next Post Spring Into The Garden!